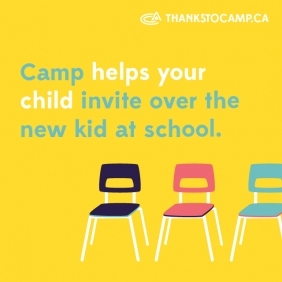 These testimonials come directly from parents of happy campers over the years... and are our best endorsement of Hockey Opportunity Summer Camp in Northern Ontario. We just wanted to take a minute and say thank you. From our first day there, you were all so welcoming. This was his first overnight camp away from us and we were not sure how he would be. He said he was too busy having fun to miss us. Our son Ben attended camp for the first time in week 4 and he had a great time. In fact the most fun he has ever had he says. He said the food was great, hockey was fun, water sking awesome, mountian biking was great, he loved all of it. He said everyone was really nice, and Brandon was really great. (Although he felt bad that he had to spend the whole summer in that small room ). Thank you for making his time there so worth while. He will be back again next year to defend his shuffle board title! Thank you to everyone for making his week so fun, and memorable. We had a three and half hour drive home yesterday and Tyler talked the entire trip about all the wonderful things he did. He raved about the counsellors (his was David and he says he was awesome) and how friendly they were and what great care they took of the campers. He said the food was all so good and he had a blast with his Mountain Biking and Wet & Wild activities. Tyler was at camp this year because he won an award through our minor hockey organization that allowed him to attend a hockey camp of his choice. We researched many and chose HOC. We are so pleased your facility is the one we chose. Thank you for giving our son a fantastic, memorable camp experience. We hope to send he and his brothers to your facility again in the future. Josh attended HOC last year on his own with no friends and found himself homesick at night. His leader last year was Andrew and he helped Josh so much, that Josh was adamant about us sending him again. This year Josh has been pumped to come to camp with 4 of his team mates. HOC could not come soon enough for Josh, he has been on the countdown for months. When we went to leave on Sunday everything changed and Josh went from offering help to those in his cabin who had not attended before to a boy who was having an extremely hard time with us leaving. With the help of Jeff we were able to leave but left behind a very sad little boy and a very sad Mom. I have spoke with Jeff each day and it sounds as though things are becoming a little less difficult for Josh. (Thank Jeff, you have no idea how much those calls have helped me…lol) I just wanted to send an email to you expressing our thanks to all of the members of HOC who are there with Josh this week helping him out. I think often we take for granted what the leaders of these kids have to go through on a daily basis. I would like to thank everyone at camp who is helping Josh make the most of his week and we have our fingers crossed that he will make it to Saturday and participate in the big game. I am hoping that you might be able to read our email at your staff meeting and thank everyone there for us. You have a remarkable staff Kevin & Sophie and I hope that each and every one of them know how much their patience, understanding and assistance is appreciated. We hope as the week goes on Josh improves every day. He told us on our way to camp that he wants to go every year and one day be a counsellor at HOC. I hope that he has not been a burden and once again thank you to everyone at HOC for looking out for our remarkable little buddy!